Thanks, Prof! I'm in good company there. Awesome. I have this edition, too. Still a great read. 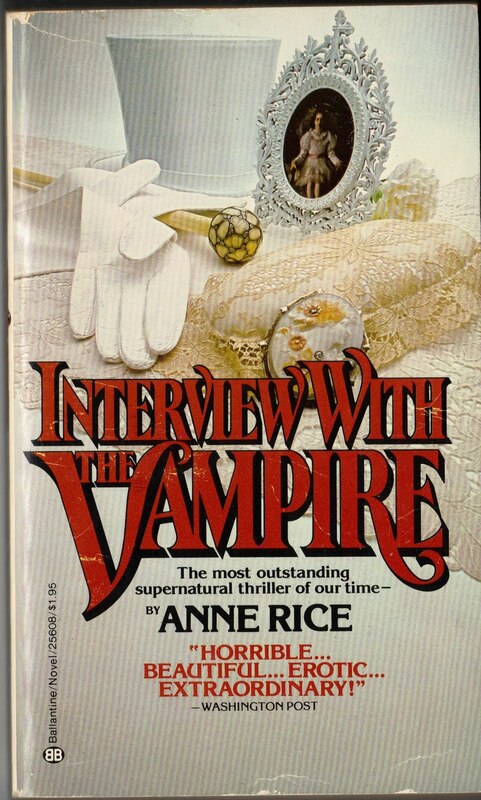 I must confess to having never finished an Anne Rice book. Started on a few, just lost interest. And the movie versions underwhelmed me. You know, I really tried to love these books. 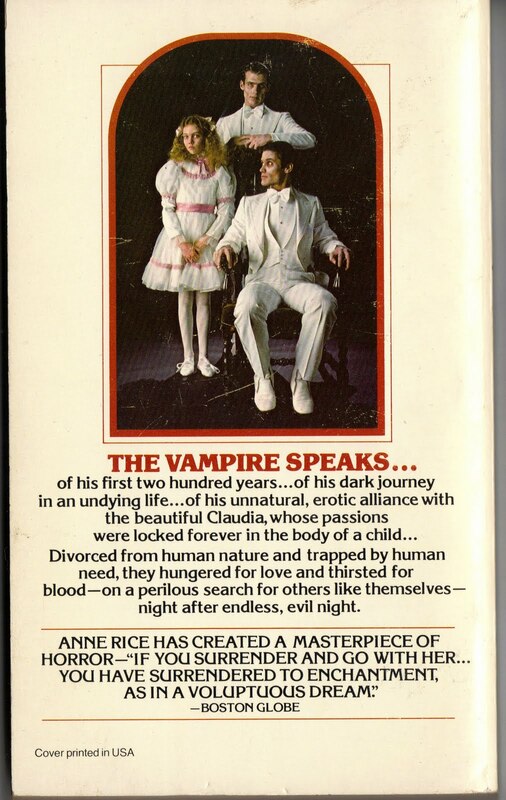 I brought home the entire collection of Anne Rice novels before reading anything more than Belinda, assuming I would love the Vampire Chronicles just as much. 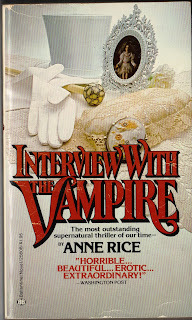 I tried Interview With The Vampire followed by The Vampire Lestat, and neither one did it for me. So I stopped in hopes that one day down the line, I could pick up the Vampire Chronicles again and find myself riveted. I liked 'em when I first read them like 20+ years ago but every glance at them since has been wildly irritating. Got this for cover art/condition alone - that's why there's no actual review! i think I'm noticing a trend here? Could it be that we horror "purists" have no truck with the likes of Rice simply BECAUSE she tried to re-make/re-model? 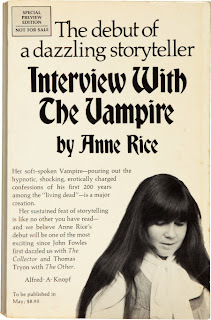 I dunno, frankly the vampire stories have never been my cup o tea in any author's hands. 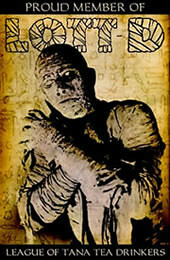 They dont scare me at all-and is now a modern cliche with the new proliferation. I did read IWAV when it came out in this cover. 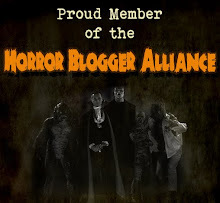 Hoping that al the hubbub would signify a new thrill. 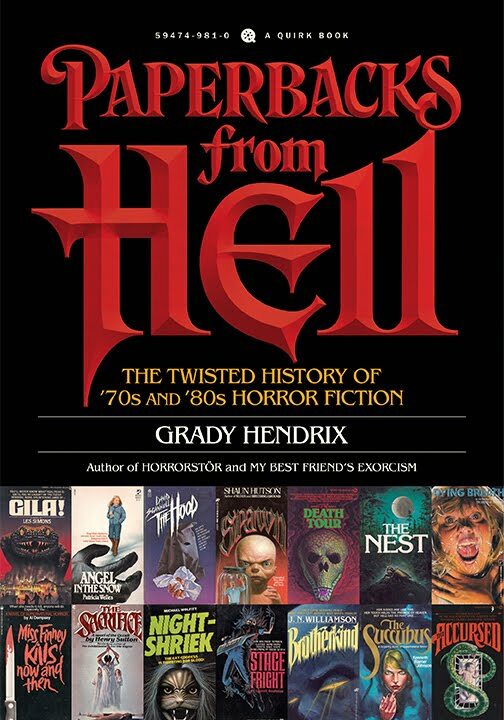 Unfortunately was never tempted to venture beyond that first book since I found it a slog to get through .